Below, you'll find our weekly recommendations for exhibitions opening in Tel Aviv. And now, for our weekly recommendations. 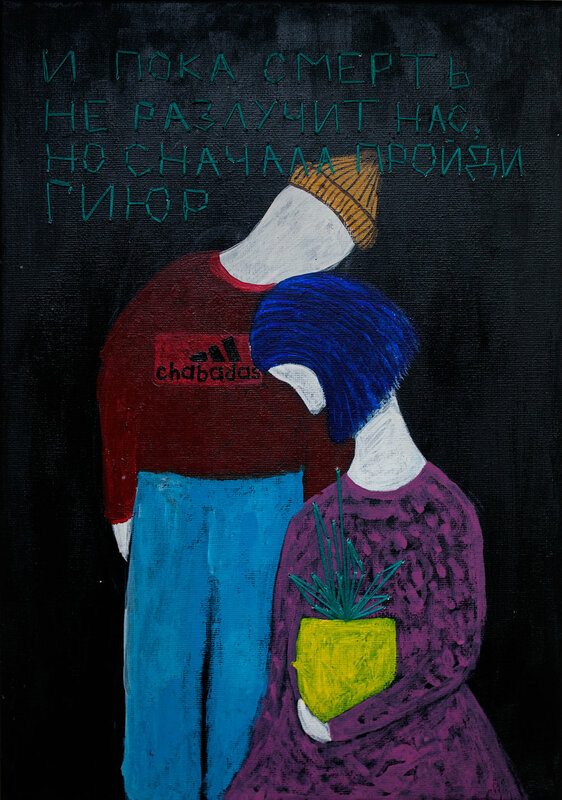 Venue: Gordon Gallery, 95 Ben Yeudah St.
Exhibition: Play/Ground - A new exhibition produced by Skutz which will accompany the Pride month’s events in Cuckoo’s Nest. 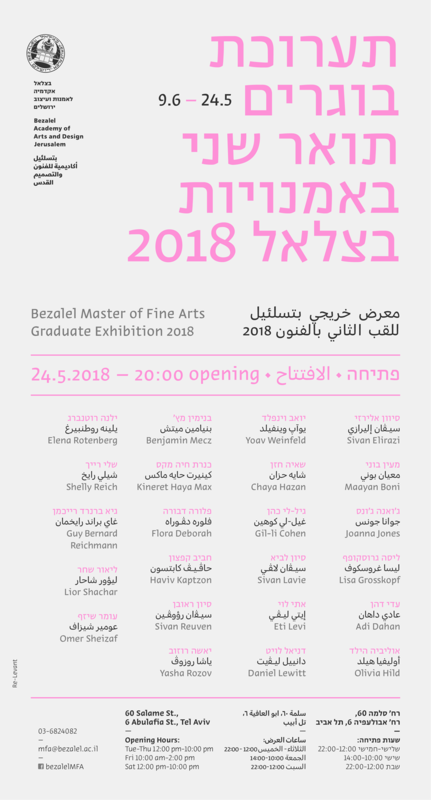 Artists: Ohad Matalon, Gil Marco Shani, Elite Azulay, Shay Azulay ,Aline Aljam, Bianca Eshel Gershuni, Avner Ben-Gal, Matan Ben Tolila, Eden Barel, Yael Bartana, Yoni Gold, Shira Glezerman, Yair Garbuz, Michal Helfman, Gil Desiano, Neta Harari-Navon, Chen Ziv, Irit Hemo, Nahum Tevet, Eilat Carmi, Pamela Levy, Uri Lifshitz, Sigalit Landau, Orly Mayberg, Lea Nikel, Hannah Sahar, Judith Sasportas, David Adika, Eli Petel, Zoya Cherkassky, Moshe Kupferman, Yigal Tumarkin. Venue: The Omer Tiroche Gallery (Mazal Moznaim 2) hosts a special one-week long art sale exhibition with a group of prominent Israeli artists, to help raise funds for saving the life of Noga Baumatz. Noga is the charming 2-year-old daughter of Noam and Tamar and a little sister to Yasmin and Mika. Noga was diagnosed with a rare genetic disease called Dyskeratosis Congenital – a disease of immune system failure. However, as with any genetic disorder, the symptoms are as varied and difficult as they are, and include growth problems, health impairment, cancer susceptibility, bone marrow failure, and more. The fair will provide a point of view on current state of affairs in local art and design scenes through a special decade exhibition, selected projects by galleries and art institutions, the up-coming independent artist’s greenhouse, the video greenhouse, and a presentation of Israel finest product designers. I'm personally very much looking forward to seeing the fair's "Greenhouse" which presents the works of up and coming emerging Israeli artists, with artists I've been following for some time. Venue: Tel Aviv convention center. For today's newsletter, I'd like to recommend one exhibition which is presented in four art venues across different neighborhoods of Tel Aviv. Please find its information below. If you're interested in touring with a private group at a time of your convenience, send us an email and we will craft an itinerary for you. Happy Pessah and a beautiful spring to all our dear followers! Artists: The Center for Contemporary Art Tel Aviv is pleased to announce its next exhibition, “KEDEM–KODEM–KADIMA,” which includes contributions by Diti Almog, Arahmaiani, Yochai Avrahami, Ilit Azoulay, Guy Ben-Ner, Monica Bonvicini, Born from Rock, Rafram Chaddad, Latifa Echakhch, Ceal Floyer, Shilpa Gupta, Peter Halley, Michal Helfman, Chourouk Hriech, Gaston Zvi Ickowicz, Eti Jacobi, Christian Jankowski, Kitty Kraus, Jannis Kounellis, Agnieszka Kurant, Mierle Laderman Ukeles, Benoît Maire, Alex Mirutziu & TAH29, Jonathan Monk, Laurent Montaron, Natan Tarfe, Joshua Neustein, Adrian Paci, Eli Petel, Pratchaya Phinthong, Wilfredo Prieto, Public Movement, Tomer Rosenthal, Miri Segal, Ariel Schlesinger, Shiri Tarko, Jan Tichy, Naama Tsabar, Alice Tomaselli, Lihi Turjeman, Günther Uecker, Johannes VanDerBeek, Lawrence Weiner, and Nevet Yitzhak. Our art tour this Saturday is sold out and the next public tour will take place on April 7th - email me to book your spot and hear about the program! 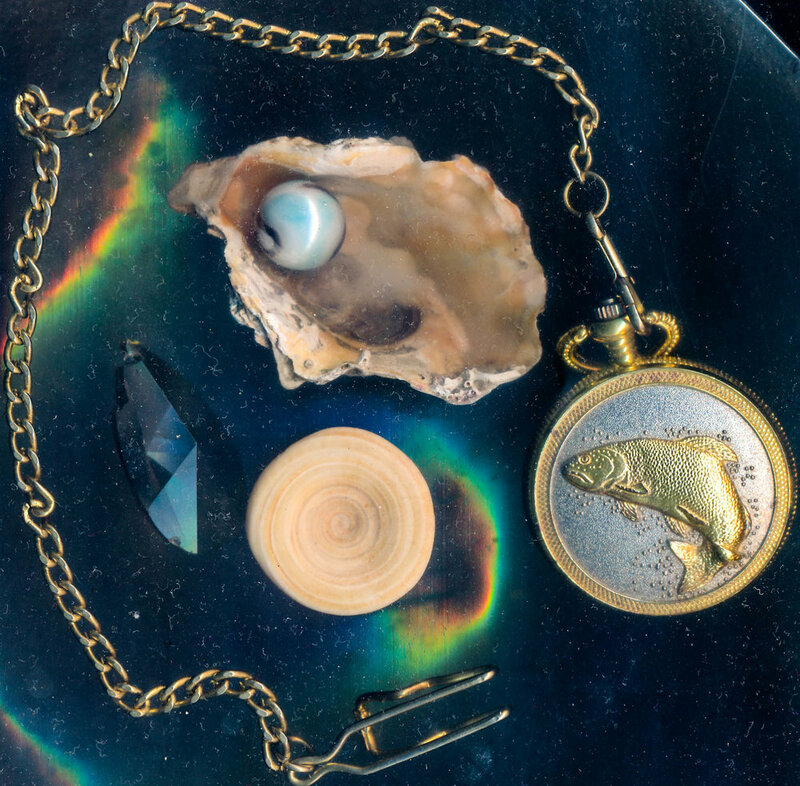 This week we're oh so excited about Moran Kliger's exhibition at Basis Gallery in Herzliya, opening on Friday. Please find my weekly recommendations below, which I now limit to five shows. And.. if you're traveling this Spring, have a look at our art tours platform which covers 23+ cities and book a tour with one of our local experts. As always, I'm happy to hear your thoughts, don't hesitate to contact me. Yuri Kats at Gordon Gallery, Hapelech St.
Our public art tour in Tel Aviv on February 3rd is full! In response to the high demand we're offering another public tour on February 10th, please send us an email to save your spot. And below, find our weekly recommendations.